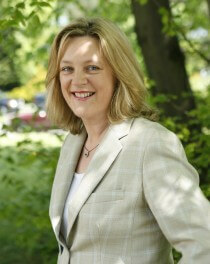 Susan Spence is Co-founder and President of SoftCo, one of Ireland’s most successful software companies. With offices in Ireland, US, UK and Finland, and a million users worldwide, SoftCo is a leading global provider of finance automation solutions that increase productivity, reduce costs and ensure that organisations meet their compliance obligations. SoftCo is a Microsoft Gold Partner, an AWS Advanced Technology Partner, and its customers include Primark, Irish Life, Lloyd’s Bank, Argos, and Bulmers. Susan is the Irish Tatler Entrepreneur of the Year 2018 and is a former recipient of the Veuve Clicquot Business Woman of the Year and Irish Exporter of the Year awards. On her initiative, SoftCo sponsored the Irish women’s hockey team that won silver in the World Cup in the summer of 2018. SoftCo is a Starting Strong Supporter. Before co-founding SoftCo, Susan held senior management positions with Hewlett Packard, McDonnell Douglas, and Phillips BV. She is a former non-Executive Director of CIE and member of the Government Enterprise Advisory Group. Susan is a member of the Institute of Directors in Ireland.